The LG Fiesta 2 LTE was released in late 2016. It’s a quite capable Android smartphone with a bright 5.5-inch display. It comes running a recent Android 7.0 Nougat version, has a powerful 1.4GHz quad-core processor, incredible storage options, and an ample 2GB runtime memory. It boasts one of the largest batteries you can find on a device in this price bracket; a whopping 4500mAh. Let’s dive into the full review. LG Fiesta 2 LTE is available from TracFone, Total Wireless, and Straight Talk Wireless. We got ours from TracFone. On top of the box, we have some basic information about the TracFone plans and some of the phone features. When you open the box, you should find the LG Fiesta 2 LTE gadget securely in the center. Other accessories in the box include a quick charge 2.0 wall adapter charger, standard USB cable, SIM ejector tool, general user manuals, quick setup guide and the service guide. LG brings us a typical design as seen on most of their devices. A unique exterior feature is the rubberized back cover that feels really nice in hands, as well as providing a firm grip. The silver finish on the frame brings out a premium look. The phone is available in black color. The 5.5-inch front panel is fitted inside some sizeable bezels. The LG logo shows up in the bottom bezel. The top bezel hosts the front camera lens, proximity sensor, earpiece and the LED flash. Going on to the edges, we have SIM/microSD card tray and the volume rockers on the left, power/lock key on the right edge. We have the headset jack, microphone and USB port on the bottom edge. The noise cancellation mic sits on the top edge. The back panel hosts the rear camera lens and LED flash, and hands-free speaker on the bottom. It comes with a non-removable battery and the back cover is fixed. Summing up our tour of the hardware, let’s move onto the next section. The display is a major selling point on the LG Fiesta 2 LTE. It has a bright 5.5-inch IPS LCD capacitive touchscreen. This is a high definition display with a resolution of 1280 x 720 pixels. It’s very much responsive to touch as well as multitouch, making it possible to play games. The proximity/ambient light sensor on the top of the display automatically adjusts screen brightness depending on the surrounding. This means the displays slightly dims while indoors and becomes bright when you go outside. While in the sun, the phone became incredibly bright that I didn’t have a problem seeing stuff on the screen. It can comfortably stream high definition YouTube videos up to 720p resolution. We find some nice specs when it comes to the camera department of the LG Fiesta 2 LTE. It boasts a 13MP rear shooter and a 5MP selfie camera. Having a 13MP camera is a major selling point on lower end smartphone. As far as having more megapixels is concerned, accompanying it with great software is the real deal. LG Fiesta 2 LTE doesn’t bow down in this sector either. The software running the camera is packed with some impressive features, including autofocus, touch to focus, and 4x digital zoom. The camera app comes with various modes and features such as burst shot, geo-location tag, HDR, cheese shutter, timer, filter effect. The front camera has additional features such as auto shot; which takes a shot when the camera detects a face. You can also turn on the gesture shot feature to take selfies using gestures. Both cameras can capture good pictures with noticeably good details. Poor lighting conditions should no longer deter you from capturing awesome moments, thanks to the LED flash on both the front and back cameras. It’s unlikely to find a phone in this price bracket with LED flash on the front and back, and we were particularly impressed with the LG Fiesta 2 LTE because of this feature. Video recording is also a major consideration when buying a new phone, and even though we didn’t have much expectation, we were pleasantly surprised. The LG Fiesta 2 LTE can comfortably record full high definition 1920 x 1080 pixels videos at 30fps, which is really nice. With the LED flash on the front camera, you will enjoy video chats even with the lights off. The LG Fiesta 2 LTE packs some impressive storage options. It comes with 16GB of internal storage. Out of this, about 6GB is used by the system, while 10GB is available to the user. It provides plenty of space to store your apps, music files, and videos. We still have about 5GB left after installing all the necessary apps. The phone also supports memory expansion up to 2TB with an external memory card. This will certainly give you room to save all your files. When buying a new smartphone, buyers will evidently look for a phone with a long-lasting battery life. The LG Fiesta 2 LTE is one of the phones that packs a powerhouse. It boasts a 4500mAh battery that promises up to 2 days of average to intensive use. It can only be compared to the battery in its other sibling with almost similar specs, the LG X Power. Another gadget that we found with an incredibly long battery life is the Moto E4 Plus. The phone has quick charge 2.0 support built in; this means, with about 20 minutes of charging, you can get up to a full day’s juice. The battery is rated to give just under 25 days of standby and 28 hours of talk time. With moderate use, it can go up to two and a half days. Even though it’s non-removable, getting up to 2 days on a single charge is really impressive. The LG Fiesta 2 LTE packs competent resources under the hood. It’s amongst the few gadgets under this price bracket that comes running Android 7.0 Nougat, which is a recent version of the Android ecosystem. Android 7.0 Nougat has major improvements in the user experience, security, performance, and multitasking. The multi-window view in Android 7 is a feature I personally liked. It allows you to run multiple apps side by side, making it possible to run apps like YouTube which don’t run in the background, while using another app concurrently. The LG UX 5.0 skin is evidently running on top of the Android operating system. It brings about a unique appearance specific to LG phones, such as a different notification panel, app icons and settings screen. The LG Fiesta 2 LTE has a powerful Qualcomm Snapdragon MSM8917 quad-core processor, clocked at 1.4GHz. This is paired with 2GB of RAM to provide an ample runtime environment for all your apps. It comfortably runs most apps and some less intensive games. With these resources and great storage options, it means you can install as many apps and games without compromising the performance of the phone. Call quality on the various wireless networks it supports is good. Using my TracFone LG Fiesta 2 LTE, I was able to communicate clearly with my friends. 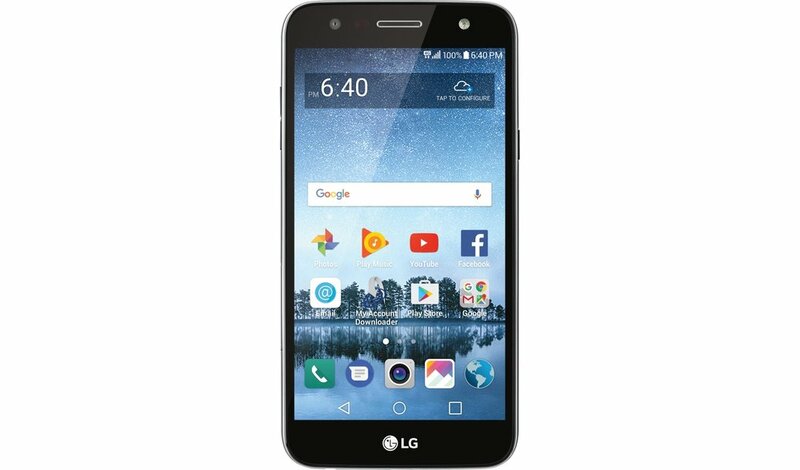 As a feature common in smartphones at this price point, the LG Fiesta 2 LTE is 4G LTE enabled for faster internet browsing and streaming with no buffering. Additionally, TracFone, Total Wireless, and Straight Talk offer some unlimited data options to give you more online time while keeping your costs low, which we will discuss in a section below. First, let’s look at the specifications. 4G LTE / GSM / CDMA / Wi-Fi. Display: 5.5-inch; 1280 x 720 pixels resolution. Back Camera: 13MP; auto-focus, 4x Digital Zoom, LED flash. Front Camera: 5MP; face detection auto shot. Processor Type: Qualcomm Snapdragon MSM8917. Storage: 16GB; microSD slot for external memory expansion up to 2TB. Battery: 4500mAh non-removable; Talk Time up to 28 hours, Standby Time up to 25 days. Hearing Aid Compatible (HAC) Rating.